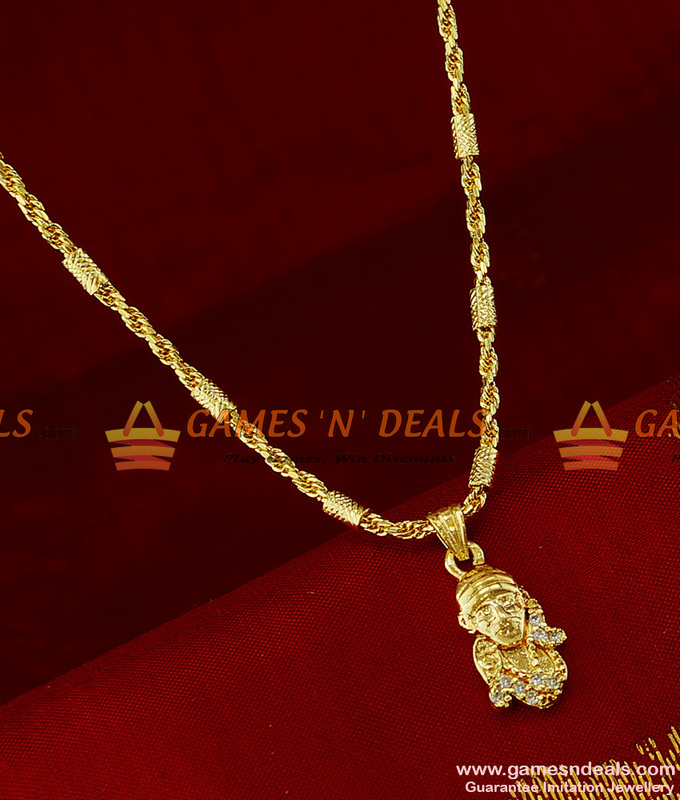 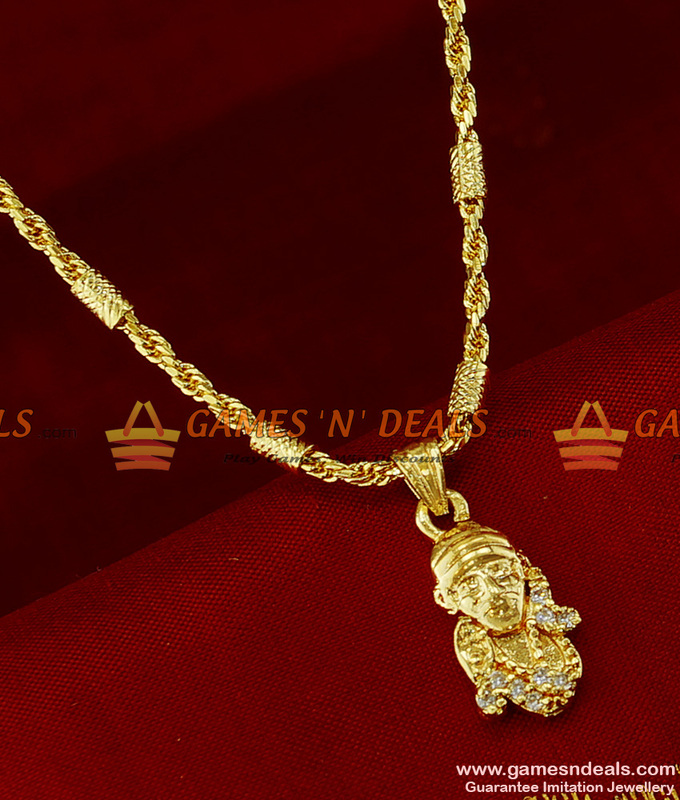 Chidambaram Artificial Jewelry Sai Baba Pendant Traditional Ad Stone Gold Plated Design - This trendy 18 inches short chain comes with attractive dollar, imitating just like real gold pendant. 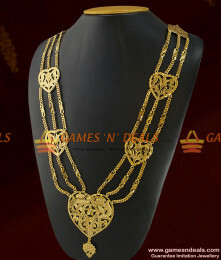 Mostly loved and used by teenagers. 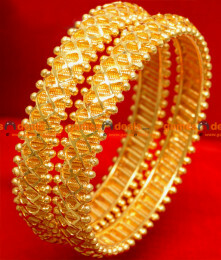 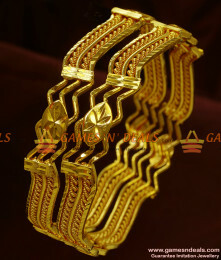 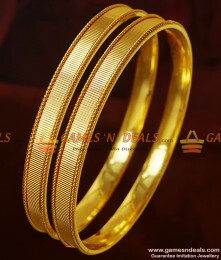 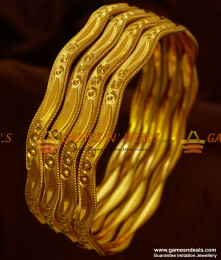 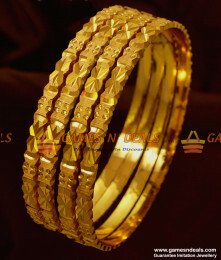 The short chain comes with 18 inches long and 2 mm thickness. 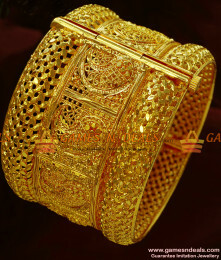 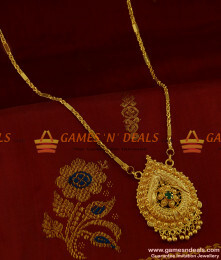 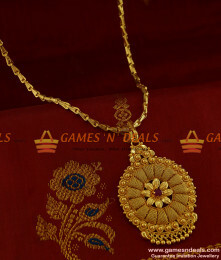 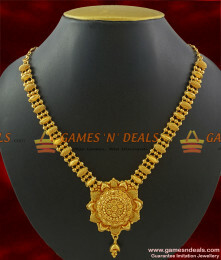 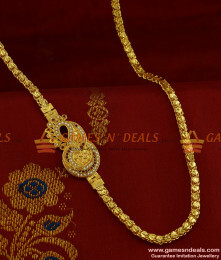 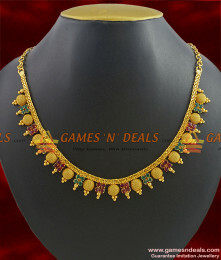 1 gm Chidambaram Gold Plated Jewelry Meenakshi Sundareshwar Thali Lakshmi Kasu Thali Set - This is a..
1 gm 30 inches Chidambaram Gold Plated Jewellery Traditional Kerala Double Beaded Pet..
1 gm Chidambaram Gold Plated Jewellery Sparkling Semi Precious White AD Stone Flower Dollar Thick Ch..
Chidambaram Gold Plated Shark Fancy Pendant Design Short Chain Imitation Jewelry - This trendy 18 in..
24ct pure micro Gold Plated AD Stone Attigai Traditional Beaded Choker Design Jewelry - This a..
24ct pure micro gold plated Best Selling Kerala Design Dollar with Six Months Guarantee Online - Fro..
24ct pure micro gold plated Chidambaram South Indian Traditional Kerala Design Party Wear Imitation ..